Another great week in the books! Phi is still trekking along with the Despereaux book. She is now onto chapter 36 and is still enjoying the story and is looking forward to watching the movie she finishes the book. We have moved away from division and are now working on solid figures, angles and line segments. This is a big shift from division. I really thought that fractions and decimals would come next since they work off division. 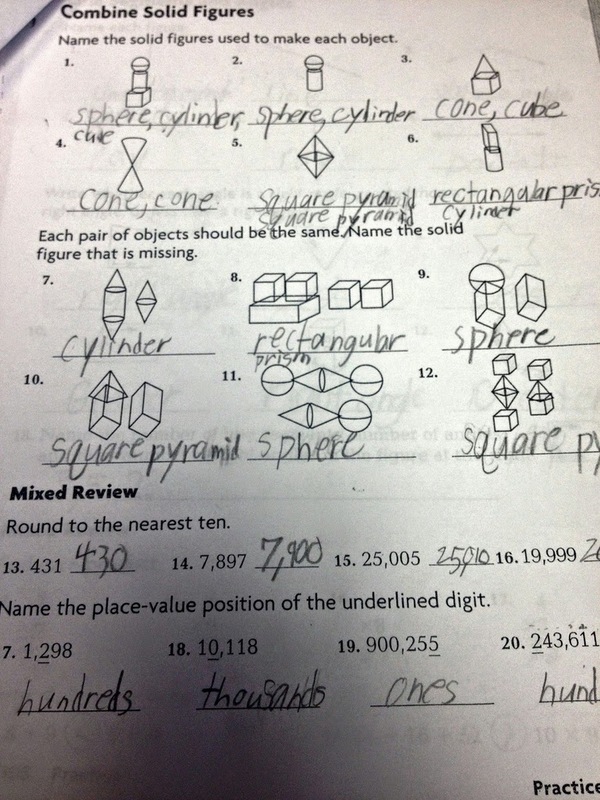 Introduction to geometry was easy and this made math this week easy and fast! For social studies we have moved on to National Government. The assignment was to look at different symbols and monuments, write about it and create it. Phi picks the American flag. 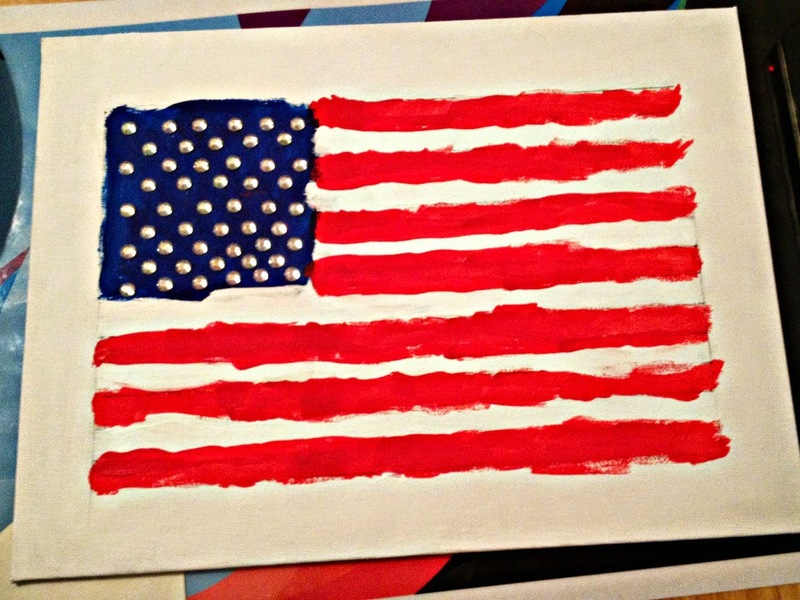 She wrote a great article about what the flag symbolized, what it means to Americans and what it means to her. We went through a few different craft ideas. 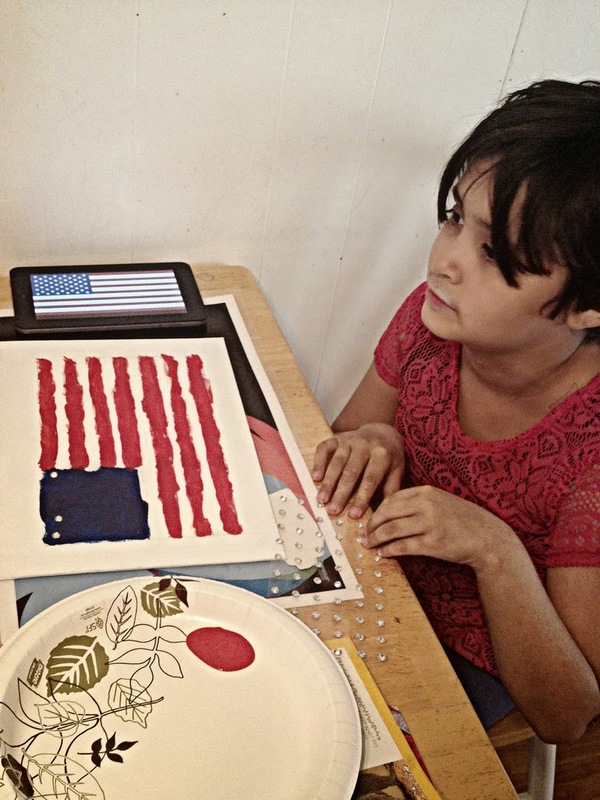 Phi wanted to make a perler bead flag, but when we went to Michael's they were all out of blue and white perler beads. Bummer. So she opted for a painting on canvas. She picked her colors and found some crystal stickers for the stars. She is very happy with how it turned out! For science we studied volume and mass. We talked about the difference between volume and mass. We also talked about how two objects can have the same volume but different mass. The assignment was to find 3 different things used to measure volume and/or mass. It was surprisingly easy to find 3 items in the house. 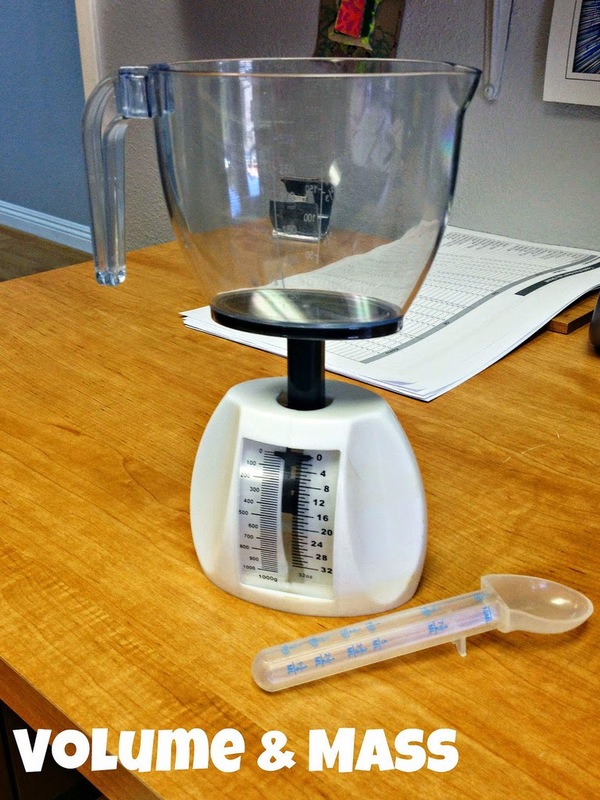 A food scale to measure volume and mass, and a medicine dispenser to measure volume. We have a couple more weeks of work before the state testing starts! It will be interesting how Phi does having to go to school more than twice a week!